STS Mediation and Mediator, Sarah T. Schaffer, CFLS, offers individuals and businesses a legitimate and accepted “Alternative Dispute Resolution” service that is often faster and less costly than a traditional courtroom trial. In fact, the courts in San Diego and beyond are so under-funded and clogged with cases that private Mediation is often a mandatory requirement for the litigating parties on the long route to actual public Courtroom litigation. If you have a Family law matter, or another pending civil lawsuit – and you have decided that taking your case all the way to trial may not be in the best interests of one or both parties, then Mediation or Arbitration should be considered. 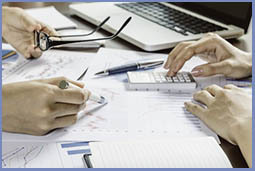 Reaching a resolution of your dispute by using Mediation or Arbitration can save months or years of your valuable time and often save you money. Privacy – Another bonus of using the Alternative Dispute Resolution process is that many people appreciate that Mediation and Arbitration are totally private and confidential when agreed to by both parties. That means that your dispute, all the confidential or potentially embarrassing details, the parties to the dispute or case (any “dirty laundry”), will not result in a public spectacle nor be accessible in the searchable public record in this time of Internet access to virtually all public Court trials. Contact Sarah T. Schaffer, CFLS of STS Mediation at (858) 509-7907 or, if after normal business hours or on the weekend, please use Sarah’s Contact Form below and leave your phone number for a call back the following business day. Mediation is considered a form of Alternative Dispute Resolution (ADR) – and is always considered voluntary. Mediation involves both sides of a dispute who come to an agreement in selecting a Mediator (a neutral third party) to assist with resolving a dispute. Both parties must sit down with the mediator and work together in an honest attempt to resolve the dispute by reaching an agreement. Arbitration is a form of Alternative Dispute Resolution (ADR) – and it can be either voluntary or mandatory. An Arbitrator is either an attorney experienced in the subject matter or a retired judge. 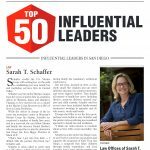 Sarah T. Schaffer, for example, is a private attorney and experienced in Family Law (including divorce, child custody, child support, spousal support, property division and tax law), who can be hired as a private attorney to represent and assist either a party in an Arbitration should that service be required. Arbitration is a legitimate substitute for a traditional public courtroom trial. A decision reached by an arbitrator in arbitration is called an arbitration award. Please NOTE: Sarah T. Schaffer, CFLS operates a private mediation practice (STS Mediation) should you consider mediation rather than arbitration. Sarah T. Schaffer, CFLS — of STS Mediation — can act as a Mediator or be hired to be your private attorney to assist you to compile a strong evidentiary case and then represent your side in your upcoming mediation or arbitration. Sarah T. Schaffer, CFLS has a proven track record and the calm and caring demeanor necessary to work with people during moments of stress and anxiety. STS Mediation offer Mediation services to individuals and businesses throughout San Diego County and beyond. If you have any questions or concerns regarding Mediation, we welcome your call at (858) 509-7907.